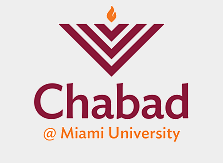 The Chabad Jewish Center provides Kosher meals (free for students) every Shabbat - Friday Night and Shabbat Day - catering to the Jewish students and faculty at Miami University. Email us to RSVP. The local Kroger has a section of Kosher food. - 300 S Locust St, (513) 523-2201. ​If you are a local establishment looking for Kosher certification please reach out to us for more information. For questions or further details, please contact us at rabbi.greenberg@miamioh.edu or call (513) 580-TORA (8672). Chabad is funded by parents, friends and alumni like you. 100% of funds donated are used here in Oxford to support the activities of Chabad at Miami University.